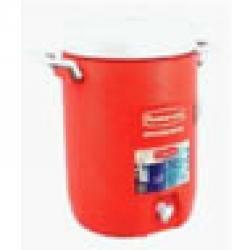 Heavy-duty construction resists dents and corrosion. 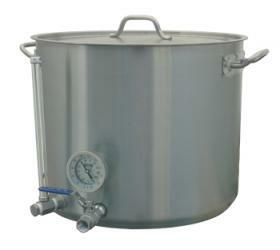 Extra thick insulation keeps wort hot with a screw tight insulated lid. 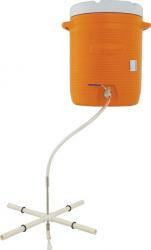 The MiniHot Liquor Tank makes brewing easier and more fun. 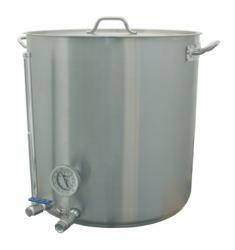 It is designed for mash water preparation and hot liquor storage. 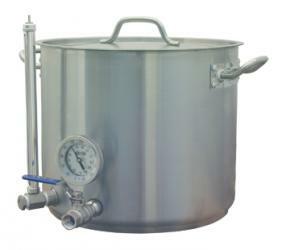 Included with purchase are 1/2 inch ball valve, 2 barb fittings, 1inch thread with plug, thermometer thread and plug, sight glass and tank with lid. Gallon markings are on the side by the Teflon sight lass. 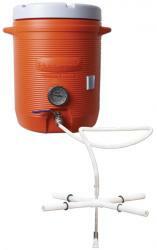 This tank makes grain brewing easy and fun!